Leveraging on the dedicated efforts made by our professionals we are offering high quality Needle Punched Wadding to our customers. This mechanically bonded made by 100% needle fabrics and 0% binding agent. Advantages of Needle Punched Wadding it is washable wadding and due to no chemicals contents harmless for human body. Naturally antibacterial and cleaned without harsh chemicals. The Needle Punched Wadding technology avoids the use of binders or resins. Will not shift or shed. 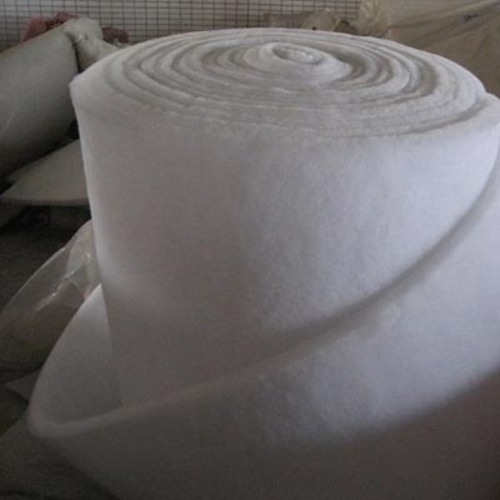 We can provide Needle Punched Wadding in different size and quality fibers. Saraswati Industries is one of the most renowned and trusted manufacturer, supplier and exporter of a wide quality range of Non Woven Fabric, Fabric Felt and many more. Saraswati Industries made a humble beginning over two decades ago in the year 1984. We are one of the most reputed industries in this fraternity. Now, we have grown to become trusted manufacturer, exporter and supplier of a wide variety of quality Felt Products. We are committed to after premium quality Non Woven Fabric and Felt Product at cost effective price. Our company’s vision is to deliver consummate level of quality with complete satisfaction. We offer a range of Non Woven Fabric and Felt Product in various quality and specification like Filter Fabric, Automotive Felt, Speaker Felt, Geo Textile Fabric as well in Woollen Compressed Felt, Felt Component as Felt Washer, Felt Strip and other felt products.